You know the all-stars when it comes to vitamins and minerals—calcium, B12, iron, and vitamin D. But what about some B list vitamins, lesser known, but still essential to health? Let’s talk B2, a.k.a. riboflavin. 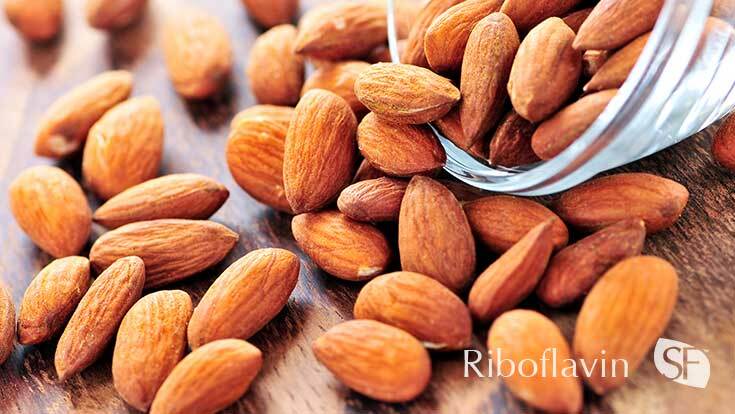 Riboflavin has TONS of functions in the body—it’s an antioxidant, it prevents anemia, it helps other vitamins transition into forms the body can use more efficiently, and it helps our body break down what we eat into the components it can use (sugar, fat molecules, and amino acids). B2 also helps keep our brain, nerves, liver, skin, hair, eyes healthy. 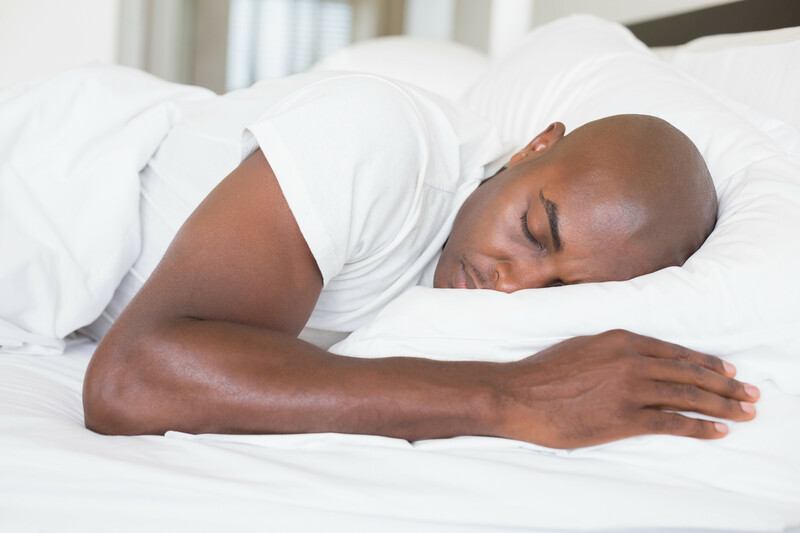 Various studies have pointed to B2 to help with everything from migraines and cataracts, to autism. 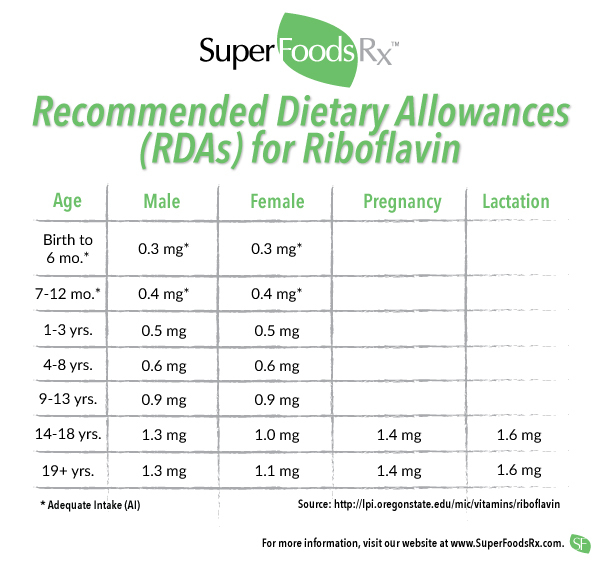 Riboflavin is plentiful in the foods we eat; getting it through dietary sources alone is not difficult. 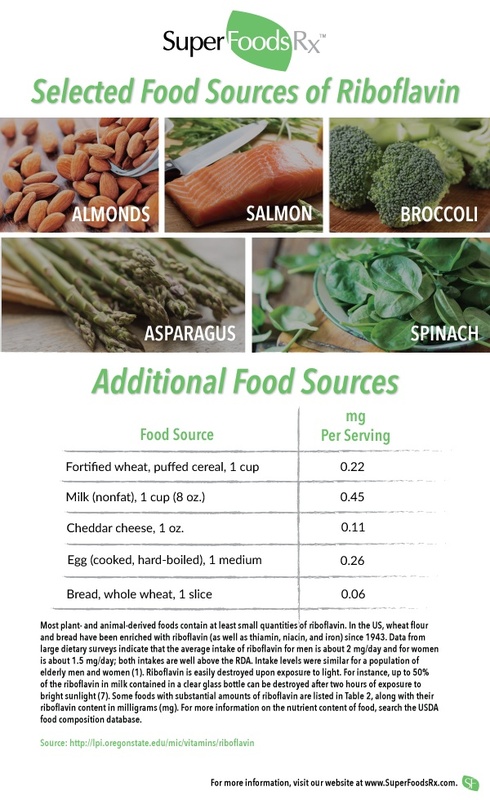 The recommended daily intake varies, according to gender and stage of life; check out the info below. In general adults need to aim for 1.1-1.3mg per day. So where can you find riboflavin in hearty quantities? Look no further than almonds, salmon, broccoli, asparagus, spinach, halibut, and whole wheat bread. Curious how much they’ve got? Again, check out the info below. Riboflavin, like all B vitamins, is water soluble, so don’t worry about getting too much in your food; your kidneys will take care of the excess. How Much Riboflavin Should You Get?